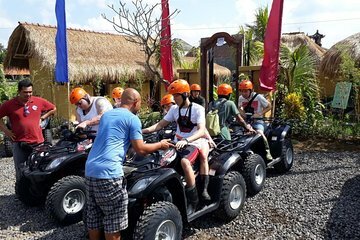 Ride your own quad bike or go tandem with a guide during an outdoor adventure on Bali, the ideal choice for thrill seekers looking to get off the beaten path. Bamboo forests, rice plantations, and riverside villages are some of the usually inaccessible landscapes you’ll see in the countryside as you go off-road on an all-terrain quad bike. Plus, hassle-free hotel transfers are provided from the Ubud area.